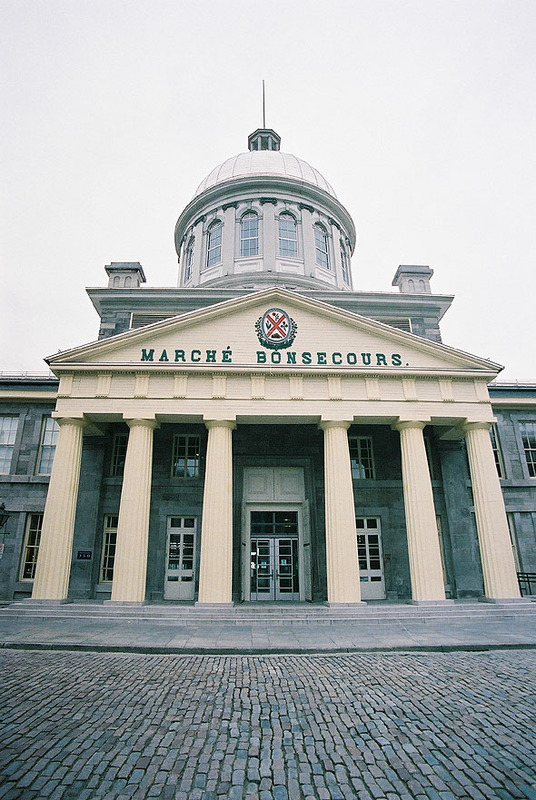 The Bonsecours Market’s construction began in 1844, with the Public Market being inaugurated in January 1847. The refurbishment of the market’s interior, under the direction of architect George Browne, continued up until 1852. After a call for tenders, the Municipal Council chose the design submitted by William Footner. In his presentation, he wrote that in order that “the plans provide the means to build an edifice that was appropriate for the circumstances, it would have to bear the colours of the nation”. “Architecture in Canada, he said, must only aim towards that which possesses a dignified grandeur, a modesty that is attractive, a balance in its proportions, and finally a harmony in all its parts, that is a prerequisite for all great works of art and literature”. The increasing industrialization of Montreal provoked a sharp increase in her population and the City Fathers wished to endow the city with sizeable halls which could accommodate and entertain large crowds. Proposals to the effect that Montreal be made the home to Canada’s Parliament caused the civic administration to ask the architects to design areas in the top floors to accommodate gatherings of people for the purposes of public readings, theatre and musics. When Tory rioters burned down the Sainte-Anne Market Parliament Building on April 25, 1849, the Bonsecours Market accommodated the Parliament. Protected by troops with fixed bayonets, the Members of Parliament sat at the Bonsecours Market from April 26 to May 7 1849. 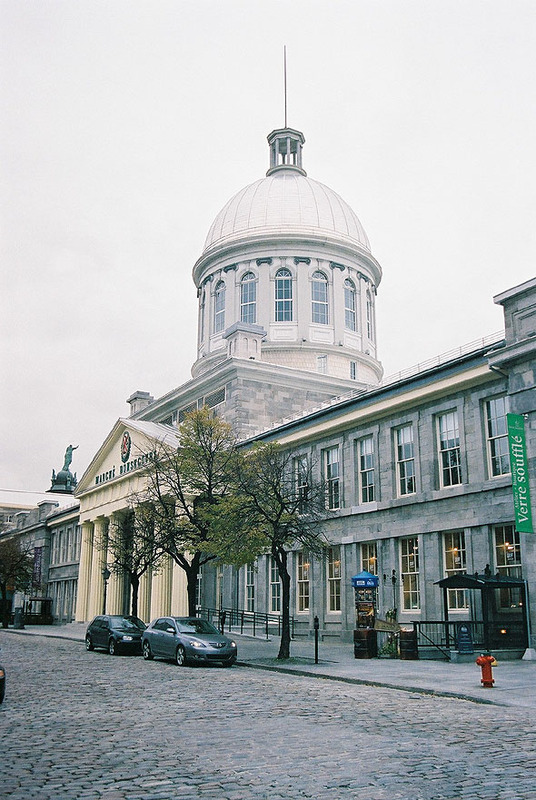 The Bonsecours Market also housed Montreal City Hall for more than twenty-five years. In 1852, the Municipal Council sat for the first time in a building that belonged to the municipality. It only left in 1878 to move into a brand new City Hall on the site of the present-day City Hall, located on Notre-Dame Street. No longer a market, that function ceased in 1963, the building now contains a small arcade of shops and gallerys.